World of Warcraft has a number of Easter eggs to entertain players. These are the little references to popular culture or homage to a certain cultural icon or concept. With each expansion, the developers of WoW continue to add easter eggs and finding them is almost as fun as downing mythic Kil’jaeden. So, what about gaming-inspired easter eggs? Do WoW developers reference other popular games? Here are some of the best nods to big games within WoW. Blizzard, naturally, has hidden easter eggs celebrating its other famous franchises. For example, if you travel around Azeroth, you will notice the Goblin Shredders showing a picture of Sarah Kerrigan from Starcraft: Brood War. If you happen to have the Sky Golem, then this cockpit will have an updated version of Kerrigan from Starcraft 2. WoW is a game that almost everyone who knows about games recognises. Another such a cult game is the Legend of Zelda. Original WoW had a full quest line that began with a quest called “It’s a secret to Everybody” and ended with “It’s Dangerous to Go Alone”. During the quest line, you met Linken and you travelled across Azeroth helping him forge his sword. Nowadays, Linken can be found in Mount Hyjal participating in the quest “Protectors of Mount Hyjal”. If you are a fan of Pokemon, then you can find a little nod to the game at the starting area for Draenei. The temple in this area has a pink glowing pattern on the floor. If you look at it from above, you can see it is actually a Pokeball! Now, that Destiny can be launched from the same launcher as WoW, it isn’t any wonder to find Destiny inspired characters in the game. 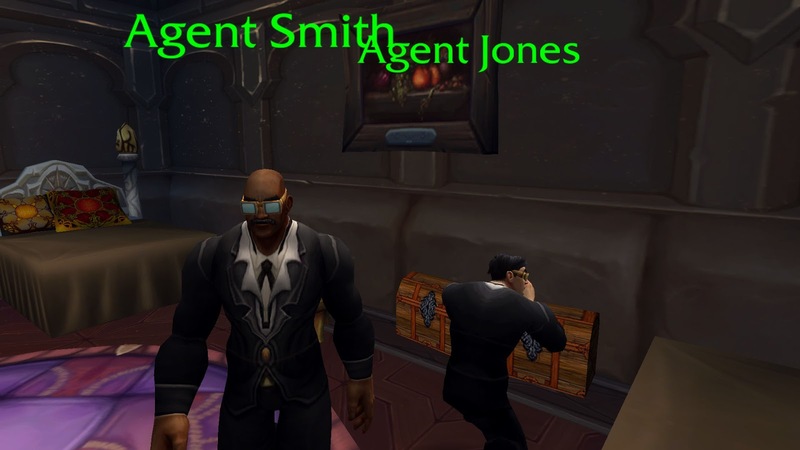 In Dalaran’sAntonidas Memorial area you can find an ethereal vendor known as Xur’ios. He only takes curious coins as payment and this is a reference to a vendor called Xur in Destiny. He only accepted strange coins in that game. The newest expansion also added something for fans of Final Fantasy VII. You can find Cloud Strife or Koraud in Dalaran, serving as a bodyguard for flower-selling Aerith Primrose. Both NPCs are remarkably similar looking to their original characters. Don’t forget to go and take a selfie with them. You should also check out the Horde Camp Mojace in Feralas. There you will find a character called Hadoken. This is a reference to Street Fighter – in the old arcade game, the characters Ryu and Ken would do a special attack throwing balls to their enemies and shouting Hadoken. As you can see, WoW developers love to entertain us with little easter eggs. Finding these hidden gems is super fun as well. So, get looking and don’t forget to check out the above games when you need a break from WoW. You can find plenty of games online for discount prices on VoucherBin. So, get out there and see if you can find your favourite game represented in the World of Warcraft.